Buckets & bowls, cookware & tableware, small electrical items, large doormats – just a few things to give you some idea of the range we keep. HG Products Bath shine, Natural stone cleaner, Drain un-blocker, Car wax shampoo... and many more! The items above are intended as a guide to our extensive selection and by no means do they represent our entire stock. 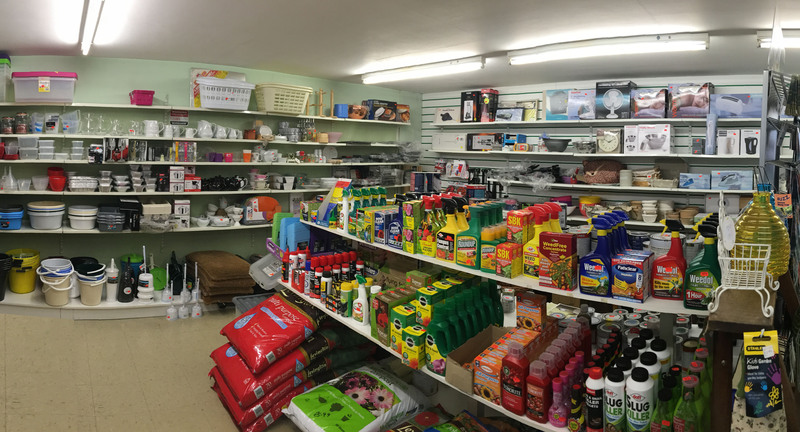 To view our full range of products pop into the store and if you cannot find what you are looking for please just ask a member of our friendly and helpful staff.